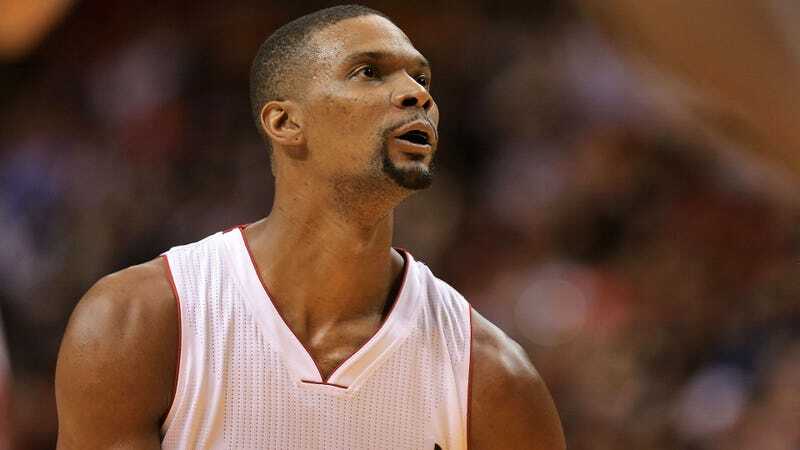 More than a year after he last appeared in a game, Chris Bosh has reportedly reached an agreement with the Miami Heat and the NBA Players Association that will both allow him to become a free agent and the Heat to receive maximum salary cap relief. Such an agreement has not yet been officially confirmed, but the Miami Herald reported yesterday that Bosh has discussed it with family members. ESPN cited multiple sources in a report on the terms today. Bosh sat out the last few months of the 2015-16 season with blood clots. He failed a preseason physical in September due to his clotting, and Heat president said a few days after that Bosh’s career with the team was likely over as a result. Ever since, the two have been locked in a medical and legal battle with Bosh remaining on the Heat’s roster in the interim. There is $52 million guaranteed remaining on Bosh’s contract with the Heat, though much of that is covered by insurance. An agreement that will allow Bosh to pursue opportunities with other teams without the Heat being on the hook for his contract and cap space is easier because of the league’s new collective bargaining agreement, which goes into effect July 1. Under the old rules, as noted by ESPN, the Heat would still be responsible for his cap space even if Bosh returned and played more than 25 games for another team. Whether or not Bosh will physically be able to play for another team remains to be seen—though he’s said he wants to return to the league, he’s still on blood thinners and it’s not clear if a club would take a chance on him. But now he’ll likely have the chance to try, and the Heat’s cap space won’t automatically be burdened while he does so.